Our photo booth services are as unique as our clients, which is why each photo booth can be custom designed with your event in mind. Interested in one of our services? Feel free to contact us directly or fill out our contact form to let us know more about you and your event. We can’t wait to provide you with a personal reply as fast as super-humanly possible! If you’re as excited about it as we are, we’ll move forward with your reservation and making you an official member of the Modbug family! At a convenient time, we will follow up with you to confirm all the details. This includes, but is not limited to, your custom photo event template and any other fun shenanigans we have planned. You can count on us to arrive 1.5 hours before our services are scheduled to begin. Since we detail and test our products prior to every event, this will give the party hosts plenty of time to be the first to jump in VW Vinny’s photo booth for a test drive. We heard you and your love bug have a special day coming up (It’s cool if you need a minute here to take a deep breath), and we want to be the easiest decision you make for it. Whether it’s ensuring your guest have an amazing time when they’re off the dance floor or saving a bundle on take-home guest favors – we promise your event an unforgettable photo finish. You will have exclusive access to our antique pearl white 1969 Volkswagen Beetle traveling photo booth. From the backseat, guests will use touch screen prompts to take or retake their pictures. Separate printer and share station helps move guests through booth, allowing large crowds to flow. In addition to a social media hotspot for instant sharing, each guest will receive two quality prints on a custom event template to remember your special day! We at Modbug Photo Booths will never double book your day. When you choose a “love bug,” it’s for a lifetime. Businesses spend millions of dollars to associate an experience with their brand. This is true but we provide the same impact strategy that won’t blow your entire budget. Sharing with an audience via social media is a proven effective and affordable method of advertising. Our photo booth will contribute visual framework to the culture of your brand, and the outcome is intrinsically shareable. We’ll keep the party going, and with the use of our guest share-station – your brand is guaranteed exciting content with a relatable identity in your community. Your event will have exclusive access to our antique pearl white 1969 Volkswagen Beetle traveling photo booth. From the backseat, guests will use touch screen prompts to take or retake their pictures. Separate printer and share station helps move guests through booth, allowing large crowds to flow. In addition to social media hotspot for instant sharing, each guest will receive two quality prints on a custom event template with your brand’s logo. Heck! I still have a photo strip print from a business event back in 2013, and I’ll probably never get rid of it. Ok, party animal, so we heard you’re looking to step it up and make sure your fiesta has something that no one else has seen before. Well, *straightens bowtie* we accept your challenge. There’s no hiding it, our antique pearl white 1969 Volkswagen Beetle “Vinny” loves the spotlight. But when it comes to your next photo shoot, he’ll let you take the focus. Vinny is available for private and commercial photography sessions. We have a passion for working with local businesses and entrepreneurs looking to creatively expand their imagery. Whether it’s an engagement shoot, floral design portfolio, or set design, we want to hear from you! It's true, our full-sized Volkswagen Bug can't always squeeze onto the elevator for rooftop events. But, wait! We still may be the perfect fit for your special event. Modbug Photo Booths also offers a rustic style "open-air" photo booth. We guarantee the same quality prints you've come to expect from us, although our VW Beetle Vinny is sad to miss the party. Vinny has a serious case of F.O.M.O, which is why we love to be a part of all things Colorado. Give us a ‘Hey there!’ if you’d like to see us at your next farmer’s market, concert, car show, or art fair! Photo booths are highly ranked in the world of possibilities for fundraising initiatives. If you want to ensure your guests take home a visual reminder of the cause, consider us for your next event. We are dedicated to working with you and your goal timeline. Together, let’s have some fun and make a difference. WILL THE VW BUG PHOTO BOOTH WORK AT MY VENUE? The answer is, yes – most likely! Vinny is a little over 5 feet wide, so he can easily fit through any standard double doorway for indoor occasions. Photo booth services with Vinny only require 10’x13’. This gives us plenty of room for guest comfort and Vinny might give us a twirl too, if we’re lucky. But just in case your venue can't host a full-sized VW Bug, we still may be the perfect fit for your special event. Please take a look at our additional services for all the possibilities. Vinny is currently available to the greater Denver area and the travel fees are on us. HOW MANY PEOPLE CAN FIT INSIDE THE VW BUG? Technically, we don’t have a limit on the amount of people who can pose in Vinny’s backseat. Being a gentleman, he keeps his front seats forward to comfortably invite 4-6 adults. However, cameo appearances through the windows and doors are never discouraged. Want Vinny there, but still concerned about group sizes? Our camera can attach to the rear roof rack. This way he can still make an appearance, and we'll provide a snazzy backdrop for some amazing photos and elaborate GIF recordings. Who is going to be my photo booth attendant? Hey there! That’s me - Veronica! Not only am I your photo booth attendant, but I’m also the founder and CEO of Modbug Photo Booths. We’ll be in contact from first phone call to last email, so there won’t be a stranger at your party. DO YOU PRINT PHOTO STRIPS AT THE EVENT? We certainly do. Every guest receives prints of their beautiful photos, and the option to share them digitally immediately after exiting Vinny. Extra copies are always available upon request, and we will share all the downloadable digital copies with you as soon as the event is complete. And although we love keeping things old-school with physical prints, we love the environment even more. If this tickles your fancy, ask us about out paper free option! CAN I RENT THE VW BUG FOR A PHOTO OR VIDEO SHOOT? Sorry, we may have just shed a tear. We'd be honored to be part of your vision. Give us a call, and we'll be there faster than you can say "perfect." Short of any Game of Thrones replica or anything else that could damage Vinny's interior, yes! However, if you’d rather keep props off the to-do list, we are happy to provide never-used props to compliment the theme of your event. And if guests are lucky, we may even dare them to a random draw from our pose-card collection. Grandpa may have to give us his best rock star pose. HOW DO I RESERVE VINNY FOR MY EVENT? We're so happy you asked.  After you confirm through email or phone inquiry that we aren't too good to be true, Modbug Photo Booths requires a $200 deposit to reserve your date.